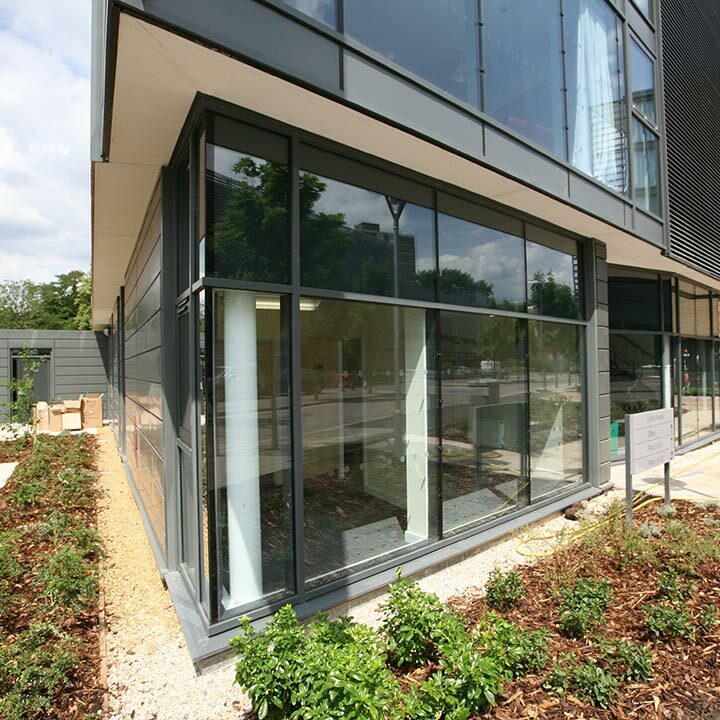 Providing expert care to the people of Cambridge while also providing valuable education and training the future doctors and nurses, AGF were flattered to have a hand in Addenbrooke’s Hospital Staff Accommodation. 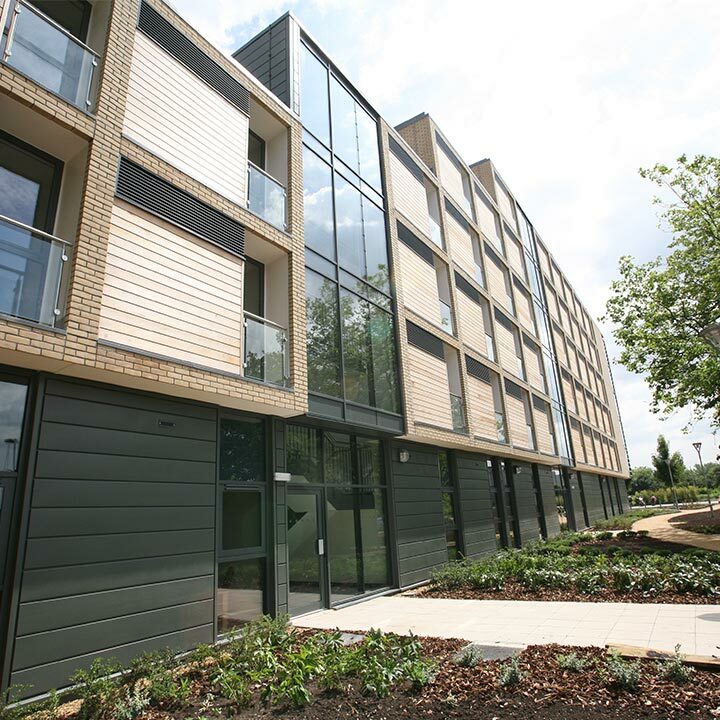 Consisting of four 6 storey blocks and 290 bedrooms spread over 100 cluster flats, we were required to fabricate and supply suitable windows and curtain walling to the development. 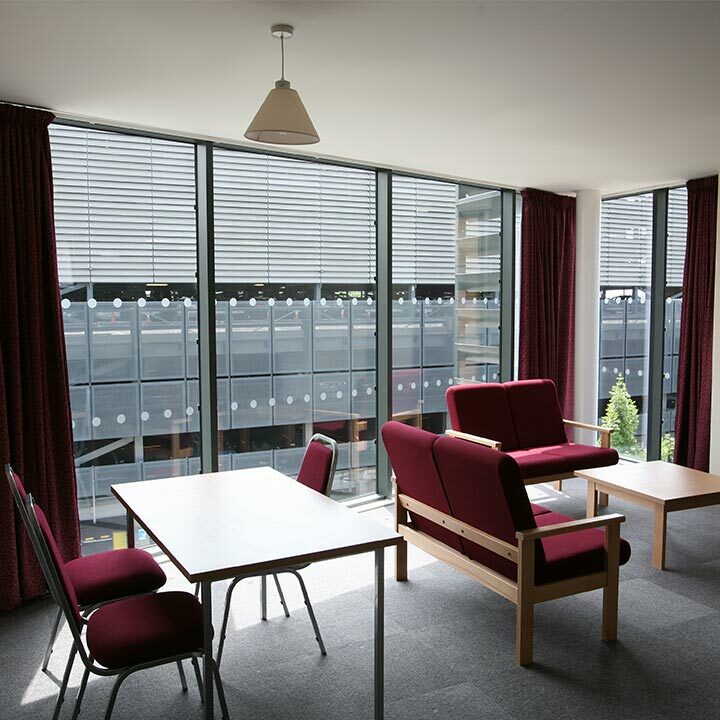 Working with longstanding London construction company SDC Builders, the hope for Addenbrooke’s Hospital’s accommodation was to provide hospital students and staff members with a contemporary living space that they could remain comfortable in when not working. The architect also wanted to lead by example by incorporating an extensive range of green technologies. We of course agreed. The decision was made to finish the pre-cast concrete panel and frame development using a series of systems fabricated from Reynaers aluminium. 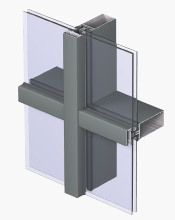 CW50 offered SDC the creative freedom necessary while also exceeding the requirements of contemporary architecture practices, thus being the ideal choice of curtain walling. 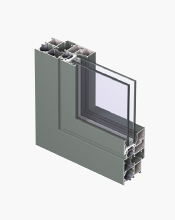 Likewise, ES50 aluminium windows acted as the perfect fit for each of the four 6 storey blocks, being a highly-insulating system that factored in high sustainability, all while still offering the structures an attractively flush finish. 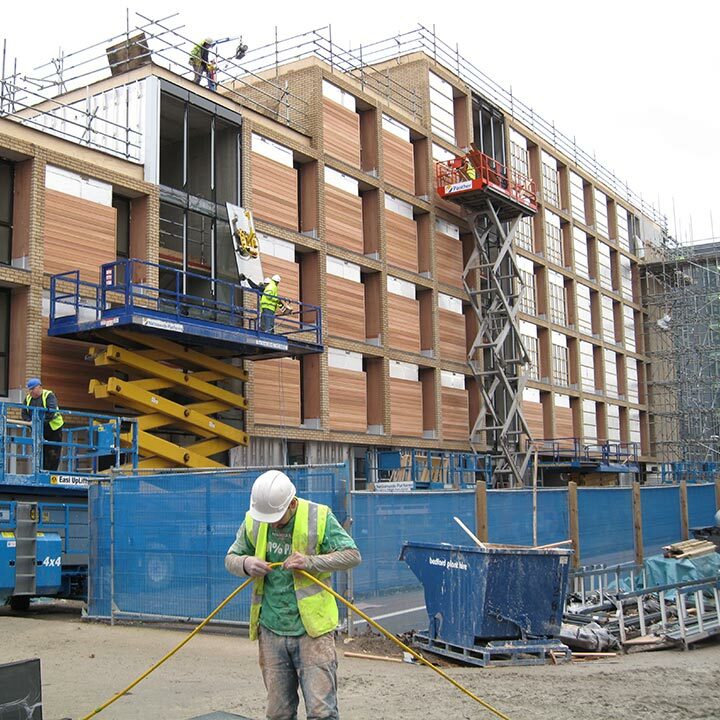 Great care and attention to detail was applied both with regards to fabrication by us and installation by SDC, resulting in staff accommodation that Addenbrooke’s Hospital could be proud of.